(CNN) -- Michael Jackson's bizarre private life and change in appearance ended up eclipsing his musical achievements, according to the world's media. 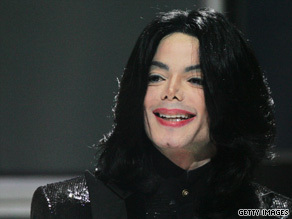 A Los Angeles fire official told CNN that paramedics arrived at Michael Jackson's home after a 911 call. Jackson's death from cardiac arrest Thursday has sparked an outpouring of grief from fans, and his life has been given a more measured summing up by news media. Britain's Guardian newspaper said "his bizarre life-style and personal notoriety eclipsed his talent and his numerous achievements." "A combination of dysfunctional family and invasive fame ate away at the essentially private singer, whose initially minor eccentricities escalated into grotesque changes to his appearance and lifestyle. "If ever there was an illustration of the adage that celebrity destroys what it touches, Jackson was it," the Guardian said. "It was the tales of oxygen chambers, chimp chums, shopping sprees and physical transformation that have brought intrigue and amusement and earned the singer the nickname Wacko Jacko." The Mail said star's behavior drew increasing alarm following a "documentary in which he pronounced sharing a bedroom with a child to be 'charming' and an incident in Germany in which he dangled his baby son Prince Michael II over a balcony." The country's Times newspaper said only a "handful of performers -- (Elvis) Presley, (Frank) Sinatra, the Beatles -- could outrank Michael Jackson as the most successful popular music entertainer of all time." Australia's Sydney Morning Herald newspaper also compared Jackson to Presley. "Just as Presley was the iconic voice and presence of the 1950s so Jackson enjoyed a similar status during 1980s and 1990s. And just as Presley, driven by the strange demons that seem to haunt the super-famous, died before his time so Jackson has died, aged 50, in Los Angeles after suffering cardiac arrest." France's Liberation newspaper described Jackson as the "total artist," but said his physical transformation and way of life brought controversy. Germany's Bild tabloid agreed, saying Jackson's private antics had seem him "dethroned" as the King of Pop. China's People's Daily newspaper said Jackson had "set the world dancing to exuberant rhythms for decades." "His one-gloved eccentric style also earned him plenty of critics and another nickname, "Wacko Jacko." Thailand's Bangkok Post newspaper said: "While Jackson ruled the charts and dazzled audiences with electric dance moves like the backwards "moonwalk" in the 1980s, his once-stellar career was overshadowed by his colorful public behavior, his startling physical transformation and multiple allegations of child abuse."